Would you buy back a bike you sold? This topic has 32 replies, 29 voices, and was last updated 5 years ago by Superficial. 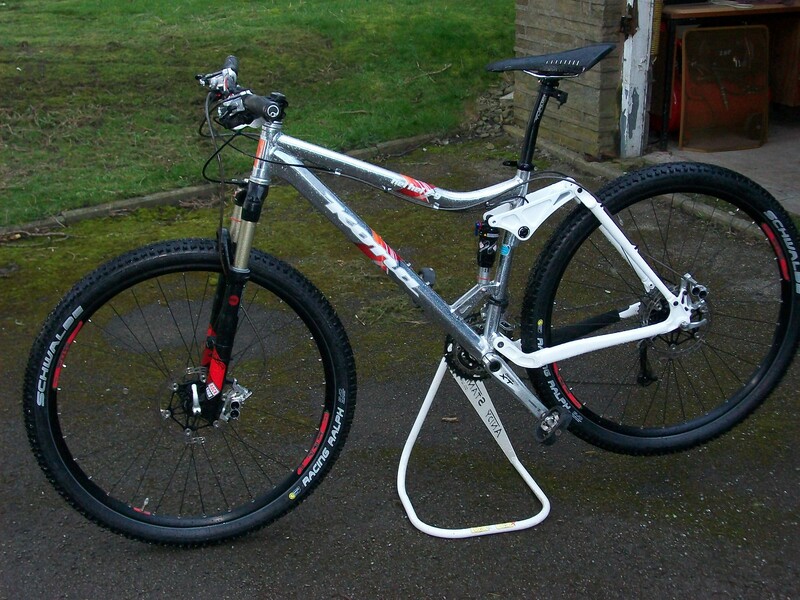 I’m into my 29er’s, 700cc bikes and last Christmas I sold a Kona Hei Hei full sus 29er blinged up to fund a CX build. The chap that bought the bike has not used the bike and I mean, NOT USED the bike since buying it from me so! What I sold it for and what I can buy it back for now it would be a bargain for this quality high end bike and I don’t have a full susser so do I do it? He has even asked me to try and sell it for him if I don’t want it? I would love the chap off of here to sell me back my bike, I miss it so much and wouldn’t care how much it had been ridden as long as it was still in good condition. That looks lovely, get it back. my ventana 29r would be mine right now if my last op had worked. a Nicolai I sold bigpete after only 1 ride. 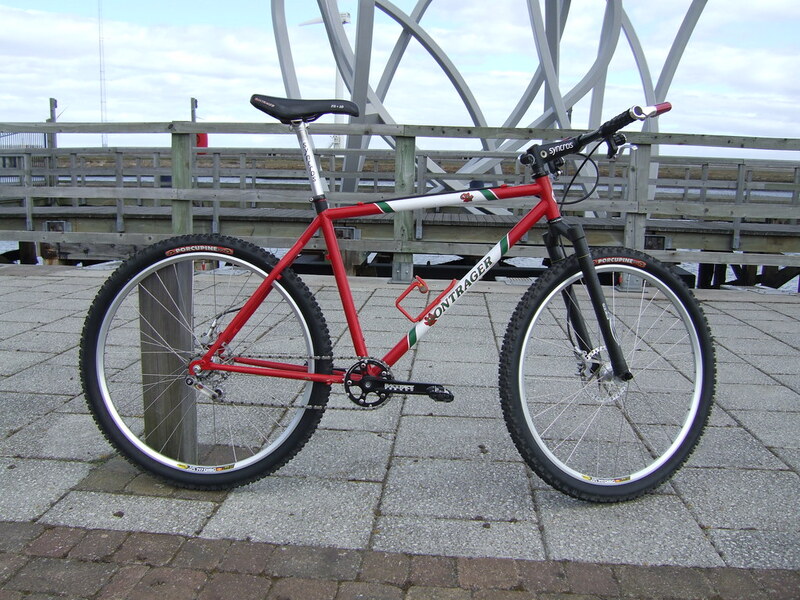 a heckler I sold after a very bad crash cos I had the wrong forks on it. and 2 singular swifts……**** knows why I let em go. I’d quite like my PRST-4 back. Yes. Would buy back my Chameleon if I could, and would be even more keen to buy back my Hutch Judge and my GHP. I would love my Marin Hawk Hill back, I had the best times on that bike. Keep looking on eBay for one but they never come up. I might be interested in buying it what size is it? Similar problem, sold nicely built Scandal to a mate about 4 years ago who never uses it and has even hinted I might like to buy it back but I don’t know how much to offer. I’m not that desperate to have it back but it would be a handy hack but I don’ t want to pay a fortune so what does STW think? Half what he paid me? Less? More? It’s a 18″ medium 2009 frame! Email me if you want to discuss! Would have my Kona Muni-Mula (green, small frame) back in a trice. Bugger I need a large. How did you get on with it, are they light? I bought my 2008 456 frame back from the guy I sold it to for the same price.Will now ride it till it breaks. Would of loved to buy back my first Pace RC200 about a day after I sold it! Didn’t really want to sell it in the first place, and regretted it for years! Never ever saw it again. I really want my old trailstar back, sold to some guy called Duane in South Wales. Wonder what happened to it. +1 TINAS, I’d love to buy my old trailstar back. Yes. Like many on this thread, I shouldn’t have sold it…. never sell bikes, hide them behind the shed. I really hanker after a HT again but do I join the 650b revolution? Yeah I’d have my Langster back. Really miss it, geared bikes just aren’t the same I’m afraid. I sold my Cube Fritzz last year to put towards my house deposit..id buy it back tomorrow if i could. Great bike but i had other priorities at the time. I’d buy back my Orange Evo 2 in a heartbeat! Yes, I’d buy a Purple Jones i sold, which got sold on (and on). Seemed the right thing to do at the time… Hey ho! Yes and no. I built a Pace RC303, Thomson, Air Revs and X9 kit. Totally over spent then sold it barely used as I was skint. Massive loss. I looked lovely. I’d love it back but from what I hear the RC303 wasn’t a particularly strong frame and had a few failures, hence the yes and no answer! Well, I have now committed myself into buying the Kona hei hei back but don’t let the wife know as she will not understand why I need it back! The Kingdom Foia V2 I sold last summer. Was such a nice bike. Would buy it back in a heartbeat. My Merida race bike. It pains me to this day not having it. Life’s too short to ride all the bikes I want to ride. Your old bike won’t be as amazing as you remember and you could ride something different and more interesting. The topic ‘Would you buy back a bike you sold?’ is closed to new replies.